Experience virtual reality via your smartphone with this Homido VR headset. It attaches to Android and iOS phones, and because it's wireless, there are no bulky cords to trip over or move around during play. 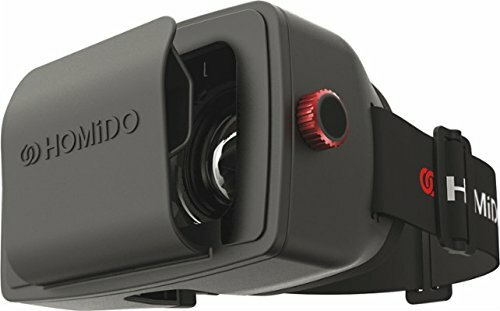 Soft foam supports and viewing distance settings make this Homido VR headset comfortable for anyone to use.